Merry Christmas everyone! This isn't exactly a Christmasy root beer, but i have been neglecting my review duties and my fridge has been accumulating more root beers from various sources and destinations. So before i forget anything about where i got most of these root beers, i need to get some reviewed during the last month of this year. I've actually been holding on to this one since March. 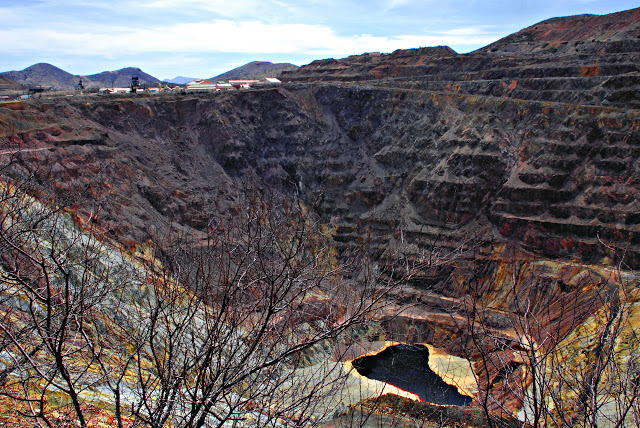 My wife and i were celebrating our anniversary down in a little mining town 6 miles from the Mexico border called Bisbee, AZ. Craft Root Beer is a naturally crafted artisan soda, or so the label says. It's distributed by US Foods Inc out of Rosemont, IL, or so the label says. They offer two distinct flavors of soda; root beer and ginger beer. I don't know much else about the company and am too lazy to do the research. So i won't talk about that any more, but i will talk at length about the charming little town of Bisbee. I'd recommend anyone who is close enough to visit to do so. 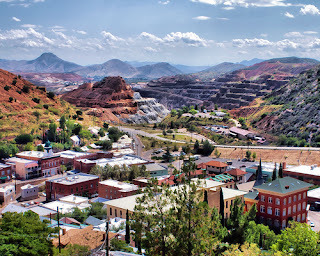 It's an old town that was once one of the most populated towns in the wild west, drawing people from all walks of life to work in or around the booming copper mine. The town is built in the hills surrounding the now closed mine. 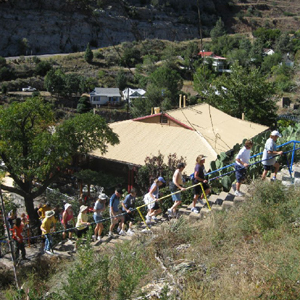 Visitors are invited to tour the mine (which we didn't do, but would look into on a return visit). 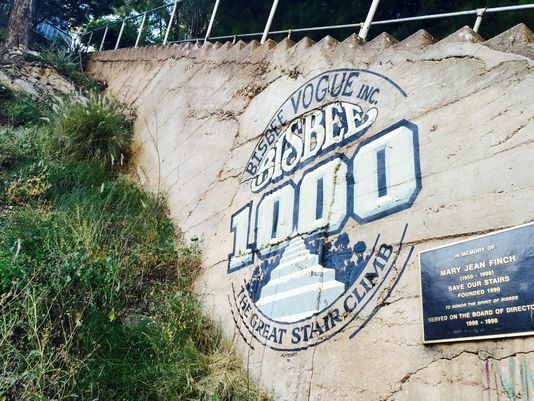 One of the events we learned about was an annual race called "The Bisbee 1000" because there are thousands of steps all around the town since nearly everywhere in Bisbee is built into the mountain and stairs connect most walking paths. It wasn't going on when we were there, but it would be something I would be willing to drive the 3+ hours from Phoenix to take part in. Looks fun. We stayed at a fun little motor park with old Airstream trailers set up as hotel rooms called the Shady Dell. My wife had discovered this little RV park and wanted to go check it out, so i took her down there for our anniversary this year. It was a lot of fun and a neat experience. I'd recommend it to anyone (FYI it's an adults only campground. Sorry kids.) 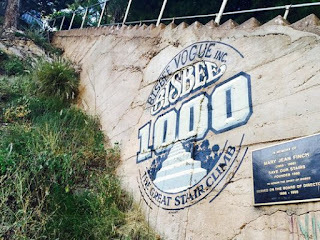 We went on a ghost tour at night, which just walked us around the town and told stories about local ghosts and historical landmarks in Bisbee. It was pretty uneventful and quite cold. 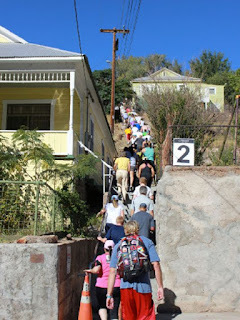 And the next morning we did some more exploring around Bisbee. That's when we found this root beer at a little breakfast place called Ana's Seasonal Kitchen. First off, Ana's was incredible. I think they only do breakfast and lunch but it was the best. Highly recommend it. That is where i noticed another patron drinking a Craft Root Beer. I had one with my meal and got another one to go, and it's been in my fridge since then waiting to be reviewed. The label of Craft is vibrant and lively. Big bold font dominates the labelscape (a word i just made up) and the cream colored background is strewn with pastel blue and red stripes and peppered with stars as a play on American patriotism. The logo is a photo of a goofy looking dude in a navy hat with a straw hanging out of his mouth. The ginger beer logo has a girl posing like Rosie the Riveter, but we aren't talking about that label, we're talking about this one. It's very colorful and whimsical, which is probably what drew my eye to it in the first place. Good job Craft on "crafting" an enticing label. Did you guys see what i did there? I sure hope so, cuz it was real obvious. As it turns out, this is a pretty decent tasting soda. The ingredients listed include nutmeg, anise, and sweet birch, or so the label says. I get a faint root beer flavor out of it, slight anise, and a lot of cane sugar flavor. But it's a reasonably good tasting root beer, though not quite unique. I can think of a dozen or so similar tasting root beers (just not by name right now). And the carbonation was lacking in the one i drank during this review, which i don't remember being the case when i drank it in Ana's Kitchen. I wouldn't call this a run of the mill tasting root beer, but i wouldn't say it necessarily stands out either. My official review is that Craft Root Beer gets 6 (six) IBCs. Overall i like it. It's a good root beer. The fact that it's not as unique as i would hope from an "artisanal" root beer made it just shy of a 7 rating. But i like the vibe and attitude of the root beer, which are fake metrics i use sometimes if i can't think of anything realist or measurable to critique the root beer on. I asked my now 6-year-old son to rate it on a scale from 1 to 10 and he gave it a thumbs up. Not the sharpest boy, but he makes up for it in good looks. 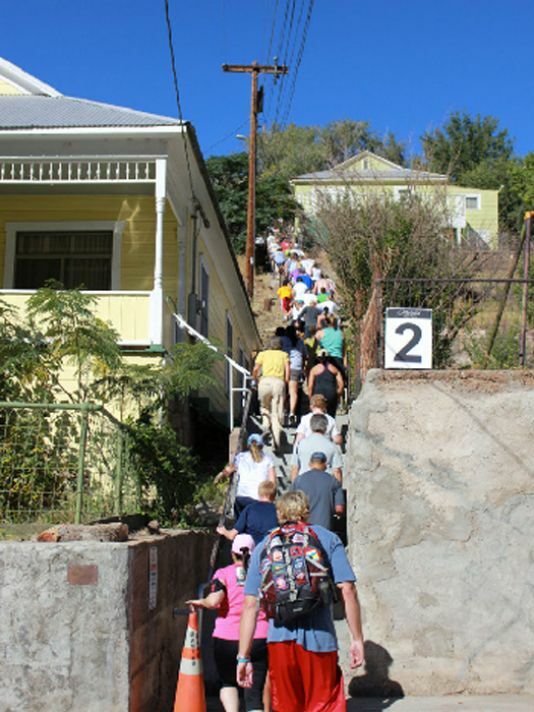 Anyway, check this one out if you're down in Bisbee at Ana's Kitchen. I think you'll enjoy the overall experience.